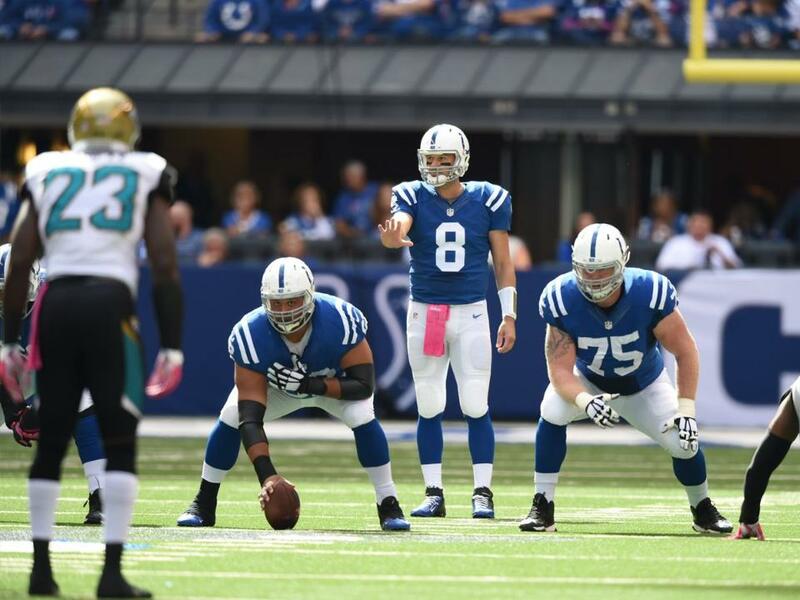 This week’s “Back-Up of the Game” presented by Venyu is quarterback Matt Hasselbeck. All week leading up to the Colts Week Four home contest with the Jaguars, the media gathered around Matt Hasselbeck’s locker like he would be the starting quarterback come Sunday. Hasselbeck’s call to be under center on Sunday came following an on the field morning warmup session with Andrew Luck. The Colts, who moved to 2-2 and to top the AFC South on Sunday, worked out Luck on Saturday morning, but with Luck’s arm strength not fully ready, Hasselbeck was thrust into duty for the first time since 2012. The definition of next man up is a trait of these Colts, yet that can be difficult to abide by week-after-week when you’re playing behind the durable Luck. With practice reps extremely rare with the first unit, Hasselbeck showed little rust on Sunday. He was 30-of-47 for 282 yards and a touchdown. “I’m very, very proud of Matt and what he did,” Chuck Pagano said after Hasselbeck’s 153rd career start.